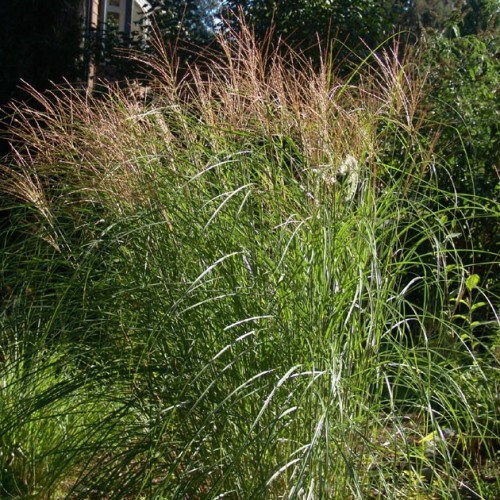 This tall ornamental grass is versatile. It can be used as a single focal point or planted en-masse as a backdrop. Copper-coloured seed heads appear in late summer and turn into attractive, fluffy panicles that tower well above the foliage. Then in autumn the foliage changes from green to red, orange, burgundy, and gold. A wonderful grass that is easy to grow and maintain.